Eclectica Beauty Studio takes a different approach to makeup education. Whether you book in for a private lesson or a group workshop (4 people), we tailor the lesson plan to your needs. Come play with us! People do not learn from simply watching a tutorial or a demonstration. To truly learn and replicate creative techniques you must experience the products and tools, see how they are applied, apply them yourself and be coached through the creative process. Our educators show you their real-world tips and techniques to take your makeup to the next level. 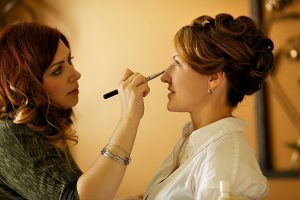 Our hands-on workshop style makeup lessons show you new, more efficient ways of experimenting with makeup. Book a session with us today for up to 4 people. "Astrid is a most talented artist and her work comes more-than-highly recommended by my company." 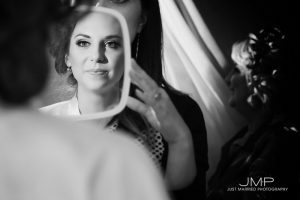 Having worked with her both on personal events, as well as contracted events, her work literally speaks for itself and the first impression is always a "wow" moment with her fantastic make-up skills. To say that I endorse her talents would be an understatement! "Astrid had an incredible talent for bringing out the perfection in whoever she works on." Her make-up application is amazing and flawless, and her hair styling is stunning and fresh. She works hard to be a star in her field, by keeping up with trends and styles (example is offering airbrush makeup), and it is ALWAYS a pleasure to photograph the girls that she decorates! She is professional and takes her time with each of her clients to make sure they get the best service possible. Wonderfully fun and friendly, Astrid is definitely a must for your next bridal/boudoir or special event hair and make-up applications!! Eclectica Beauty Studio was created in 2002 to empower women & support the personal discovery of their aesthetic identity.